When did Natson get hurt? We didn't get the injury bug last season, but this year we have it. Sad to see. Hope offense can carry us, but a well balanced attack is no longer an option if Peters and Talib miss significant time. We won that game without really coming out of second gear. The defence was disappointing but the offence looks seriously good. We need GZ back ASAP; let’s hope that the cornerbacks are fit for the clash with Minnesota on TNF. McVay just said in his post game presser that JoJo Natson broke his hand. Short week. I'd bet neither play Thursday night. Thank you, Baby Jesus, on Peters. Yep. Agreed. He was money today. Only two mistakes I saw were the underthrow to Woods (and TBF, it was the right call but just a little short) and the pick. He also threw a perfect pass to Cooks that Hayward ripped away. And the pick wasn't 100% Goff. Everett ran a lazy route on a timing throw. 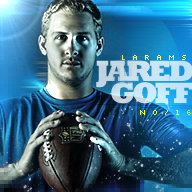 -Goff played awesome today. He showed that he is one of the best young QBs in the NFL today. 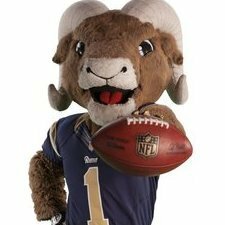 People can call him a "system QB" or that McVay is doing the work for Goff. Goff showed today that people need to start putting respect in his name when we talk about the best QBs in the NFL today. -Gurley is just Gurley. He had a fumble on the first drive but after that he was just making it look easy. -The oline seems to be even better this season than last season. Age aint nothing but a number. Whitworth and Sullivan is still playing at a high level. -The Rams might have the best receiving group in all of football. Seriously, what Cooks, Kupp, and Woods are doing is scary. -The defense didnt play great but the still held the Chargers explosive offense to under 24pts. Ill count that as a win considering the Rams were without their stud top two cornerbacks. I am glad Peters and Talib both avoided major injuries. 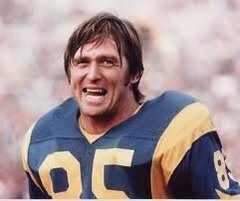 They might miss Week 4 against the Vikings but a 10 day layoff to Week 5 can help them possibly get back out there for when the Rams travel to play Seattle. -Special teams were special. Ficken missed his first FG but he did that last season and then started making them. Ill let him get his first miss out of his system this season. The block punt was awesome. 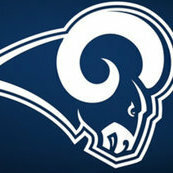 The Rams constantly show they will beat a team in all phases of the game. I love that. I hope Natson will be ok because he is a difference maker in the return game. Natson broke his hand. He's done. Really bummed for Natson. Got an opportunity and made the most of it then gets injured and most likely leaving his career up in the air. 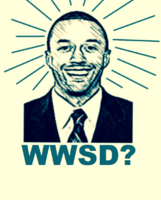 With this short week and a 2 game lead in the division I hope we don’t rush Peters/Talib back. Our offense continues to be absolutely amazing, I love it.